Maria Toevlucht Abbey belongs to the Order of Cistercians of the Strict Observance, better known as the Trappists. We live our lives in accordance with the Rule of Saint Benedict (480-547). The central tenet of that Rule is “Ora et labora” so “prayer and work”, which we alternate throughout the day. Trappists are known for their silence. We believe that the quieter we are within ourselves, the more clearly we will hear God’s calling. For this reason, we avoid unnecessary talk and keep our interaction with the outside world to a bare minimum. In the seclusion of the monastery, we observe peace and quiet, which is needed if we are to hear God’s voice in the quiet of our hearts. It is for this reason that we do not allow visits or tours of the abbey. Five times a day we gather to pray in the abbey’s chapel. Our prayer services are open to all. Through hymns, psalms, readings and prayers we each time turn to God as we place our lives in His hands once again. These services involve singing the psalms (all 150 every two weeks), readings from the Bible and prayer. We also observe moments of quiet at other times, outside our communal prayer services. In an extremely slow and attentive reading of Scripture (“lectio devina”), we try to hear God’s Word and take it into our hearts. We observe silence for prayer and meditation twice a day. Needless to say, we have to work for our daily bread, and this is why we alternate prayer and work throughout the day. Moreover, we try not to let it disturb our attention to God’s message. Trappists are known for their emphasis on manual work. 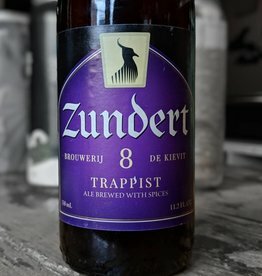 Like several other monasteries in our order, we derive the majority of our income from brewing our own Trappist beer. We are happy to share our life of prayer in silence and solitude with anyone who wishes to drink from the Source. Any persons wishing to retreat from the hectic world and revitalise themselves, for any reason whatsoever, are welcome to come and stay in our guest house. As Saint Benedict prescribed in his Rule: “Let all guests be welcomed like Christ.” And so it is that we try to grow together into a city of peace (Apoc 21, 2) and an oasis of calm and comfort, for the salvation of all.